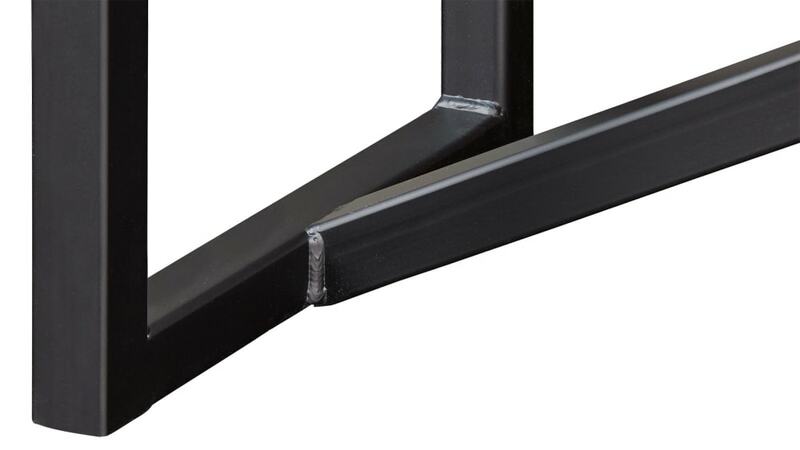 Display your decor in style with this American-made sofa table. 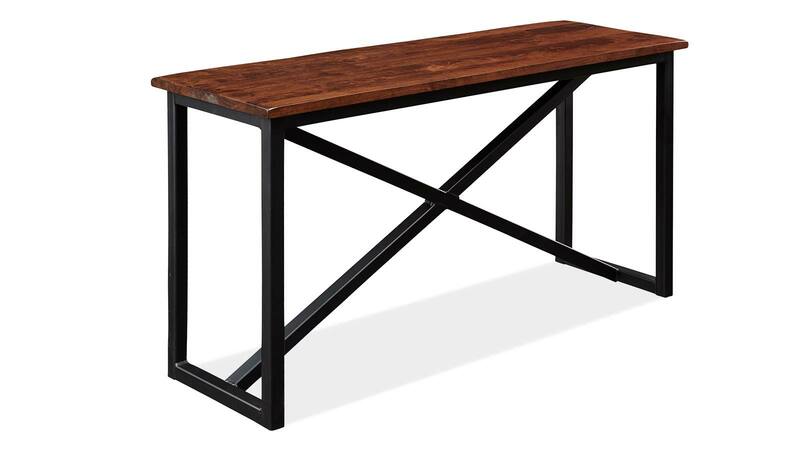 Built using reclaimed wood and featuring a black metal base, this table has a unique style to complement your eye-catching accessories. 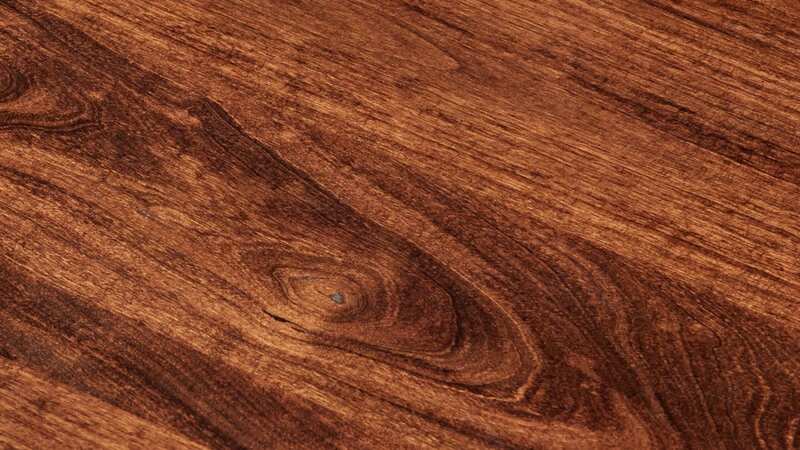 The walnut finish has a rustic quality to enhance the overall look. Clean lines and geometric shapes work to create a contemporary style perfect for your home. 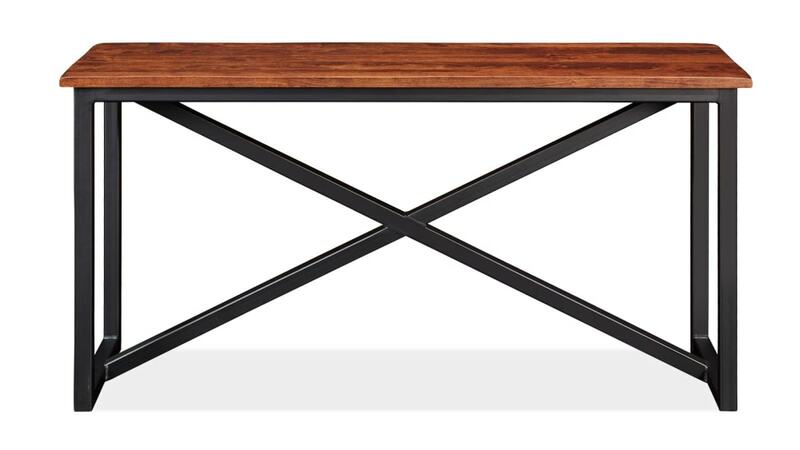 Place this table behind the sofa to add an intriguing element to the living room. 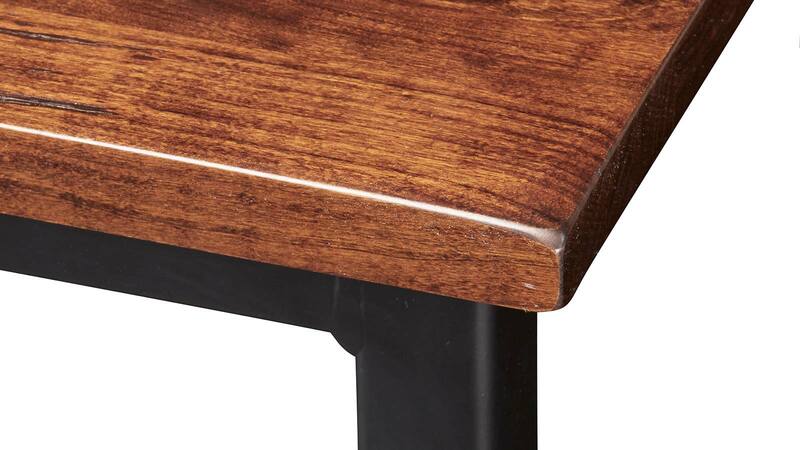 American-made quality ensures this table will last. Reclaimed wood gives this table character. A black metal base contrasts with the wood and adds attention-grabbing appeal. The walnut-finished plank top adds a rustic element. Featuring high-quality construction and a timeless design, you can count on this American-made sofa table to be the center of attention in your living room. Display your favorite decor and accessories to add a final touch of style. Don't wait another second to give your living room the boost it needs. Gallery Furniture offers same-day delivery, which means you can have this sofa table in your home as soon as TODAY.